Wouldn’t it be nice to be able to walk through the different room types of the Disney Vacation Club resorts, before deciding which one to book? We’ve added a new resource to our website: video tours of the DVC Villas and common areas of the resorts. Do you want to compare the layout of a studio with a one bedroom villa? It’s easy, just check out the videos to “walk through” each one. Or maybe you’d like to see what the pools are like or what kind of quick service restaurant is at a particular resort? You can have a look around by watching one of our resort videos. Sometimes you just need a Disney fix to get through the day… then how about a cruise on Bay Lake to check out the scenery? 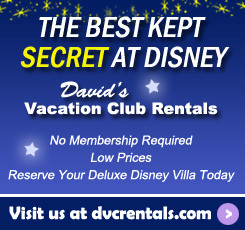 We’ve partnered with John Saccheri, producer of the Big Fat Panda Show, to bring you our YouTube Channel devoted to sharing video tours of all the DVC Resorts that we rent through David’s Vacation Club Rentals. In addition, John occasionally throws in an extra video here and there that he knows our subscribers would be interested to see – like a ride-through of the new Seven Dwarfs Mine Train attraction. Be sure to subscribe to our YouTube Channel to see the latest, greatest video tours available online. John is constantly adding new videos to the channel. 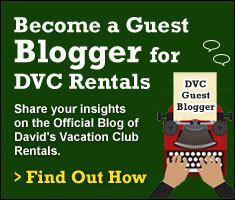 Eventually we will have video tours of every DVC resort, including tours of every room type at the resort. You can also find links to the videos on our website resort pages. Like us on facebook to see posts whenever a new video is uploaded. John has been rooted in the Disney culture from childhood. John only had the opportunity to visit Walt Disney World once, at the age of 5. After returning home, he never stopped talking about it, yearning to return. His parents were worried about this “obsession,” but John began working at the age of 12 with a focus on saving up for the next Disney trip. He was able to visit Walt Disney World at least once a year from 14 years old onward. Today, a successful entrepreneur, John was able to move from his hometown of Long Island, New York, to Central Florida to be close to the Mouse. Going to the parks still seems like a fantasy to him! 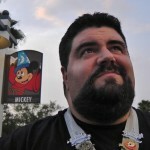 John’s YouTube Channel, The Big Fat Panda Show, is a very popular Disney channel with more than 1,500,000 views and over 5,700 subscribers. Check it out – be careful though, you may not surface from your computer for weeks!